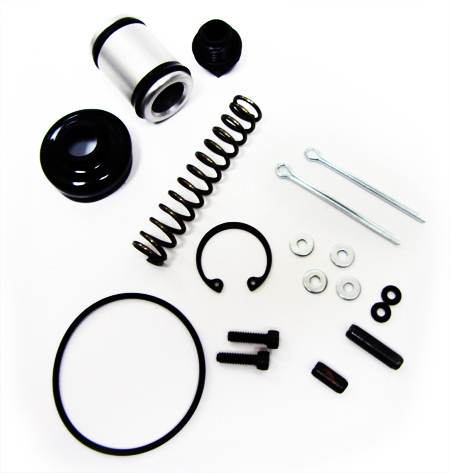 This master cylinder rebuild kit comes with everything you need to rebuild your MCP master cylinder from the ground up. This kit should help increase the performance of your worn out master cylinder. Billet Master Cylinder Piston Diameter: 3/4"
Cast Alum. Master Cylinder Piston Diameter: 7/8"